Big laughs from the audience. But I didn’t laugh. To me, that line summarized what made the classic Marvel brand of the 60’s and 70’s better than all the other comics. No, Spiderman was not Superman — he was way cooler. Superman and Batman bored me. Too goody-goody. Too full of their supposed goodness. The bad guys they fought were just — bad. Bad for the hell of it. 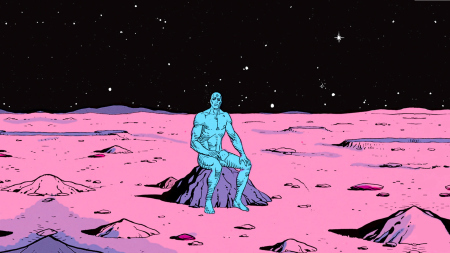 Marvel, on the other hand, offered flawed heroes, men and women racked with self-doubt who often got mad at each other. 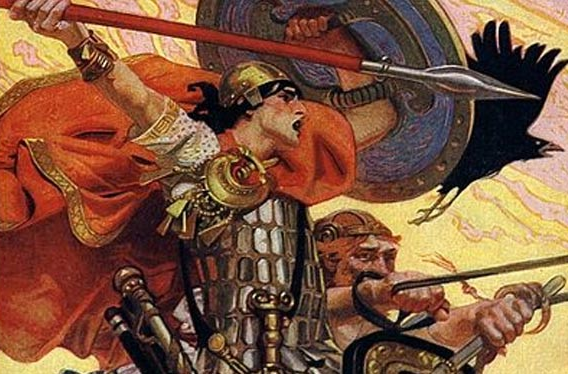 Sometimes the good guys fought with other good guys. Reading Marvel comics as a kid and teen, I thought, wow, these superheroes are like my family. They have faults. They bicker. 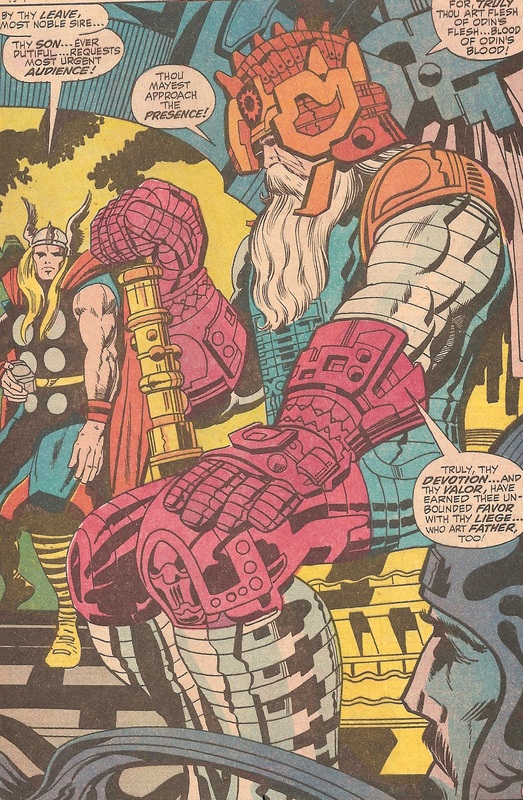 And Marvel’s bad guys were more realistic, too, with understandable motivations for their actions, just like other famous bad guys, such as Shylock and Macbeth. 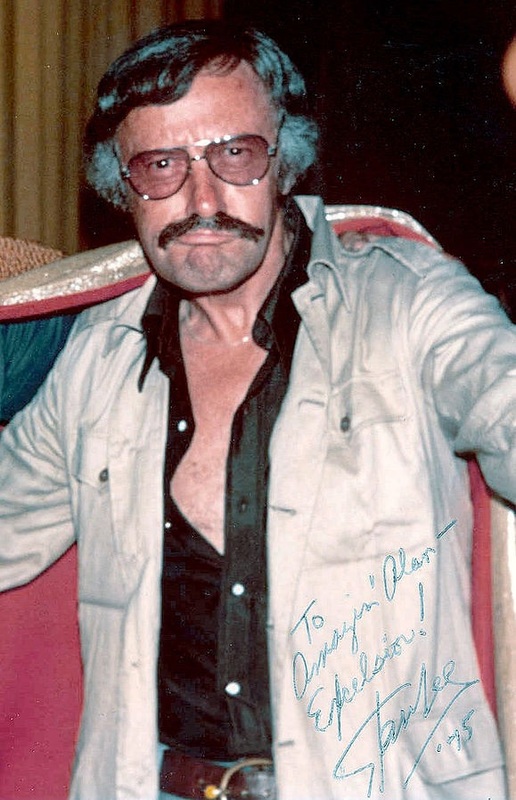 In fact, young Stanley Martin Lieber changed his pen name to “Stan Lee” because he had dreams of becoming a famous novelist, and didn’t want potential publishers to associate him with comic books, which many regarded as pedestrian trash. Guess he showed them, huh? So it is with great sorrow we say goodbye to Stan Lee, the man who made it all happen. 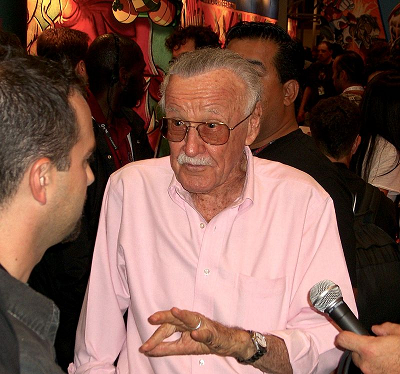 Stan Lee has passed away at the tender age of 95. Thanks for the memories — and the inspiration. Thanks for all your great entries. This is the first time in You Write the Caption history we’ve had a tie winner, but the judges couldn’t see anyway to avoid that this time. So congrats to great minds, Mike Tuggle and Bill McGloughlin. What can I say? Problem is, the winner is supposed to get the original cartoon. Who will it be? 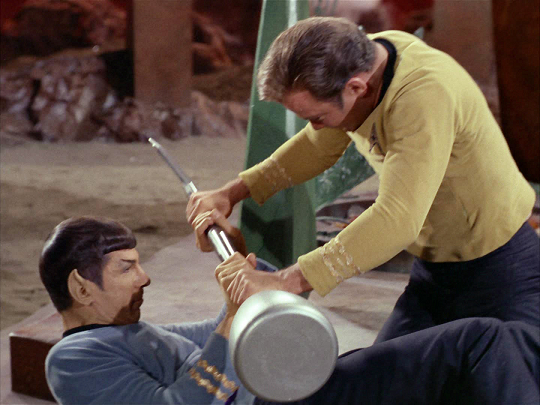 Looks to me like it’s Amok Time! Let the kal-if-fee for the prize begin! 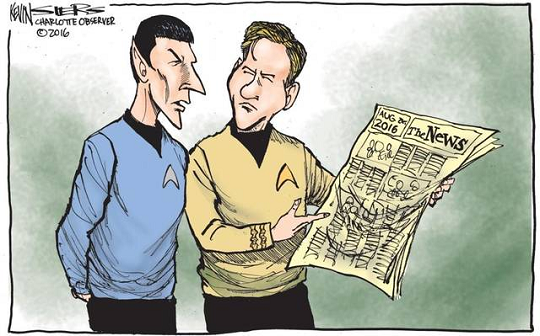 So in the Siers cartoon, Spock is informing Kirk of the fate of print journalism. Sometimes it takes a brush with personal tragedy to open our eyes to the surprising beauty and resilience of life. Author A. E. Stueve experienced this. His online account of what he and his family recently endured, and what he learned about himself and the stark but elegant reality we too often fail to grasp, is a must-read. Dr. 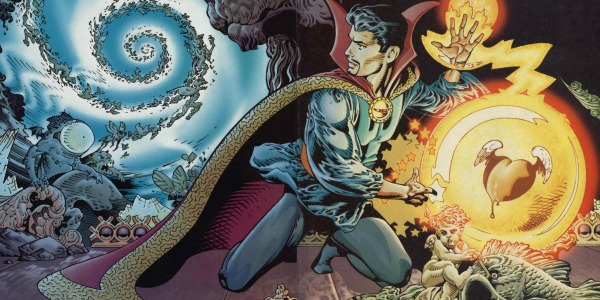 Strange was one of the lesser-known of the Marvel comics heroes, but as a kid, I bought many Strange Tales, which featured the “master of the mystic arts.” The character blended the superhero genre with Western and Eastern mysticism. Through high school and college, I found Dr. Strange as fascinating and surprising as Carlos Castaneda’s Don Juan, and maybe a little more accessible. The spells Strange cast opened doors to alternate universes whirling with unknown worlds, mind-bending vistas, non-Euclidean structures, and beings that looked like they’d sprung from Picasso’s nightmares. And like James Bond, the good doctor often duked it out at Euclidean, but exotic venues. Stonehenge was the site of one spell-casting shoot out with an evil sorcerer. Loved it! No doubt many Boomers intrigued by the psychedelia that energized the worlds of Dr. Strange can’t wait for a nostalgic return. I know I can’t.